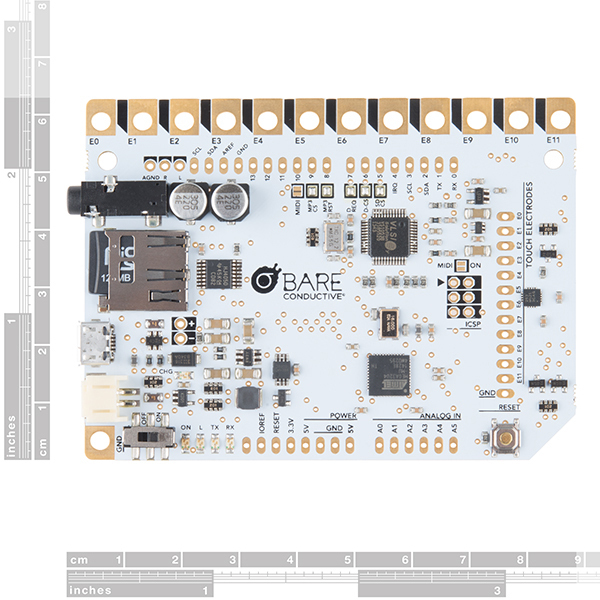 The Touch Board from Bare Conductive is an easy-to-use Arduino@Heart board that gives you the ability to turn almost any material or surface into a sensor. 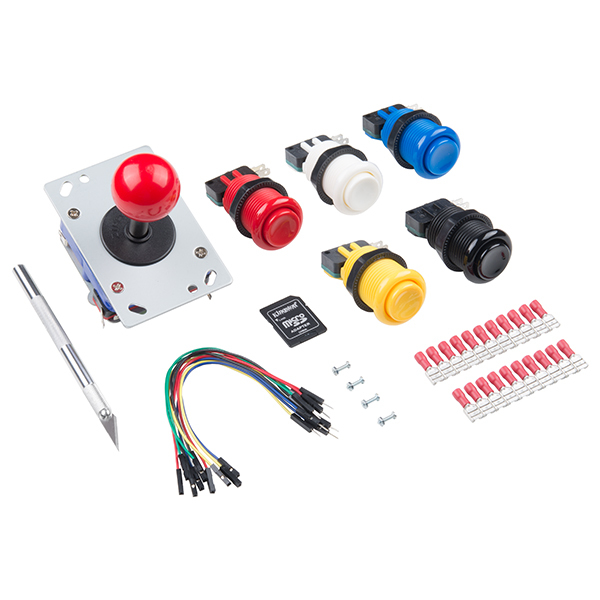 Each Touch Board offers 12 electrodes for your a conductive ink or other type of connector that can be drawn or attached to create light switches, musical instruments, or custom interactive surfaces all through the Arduino IDE. 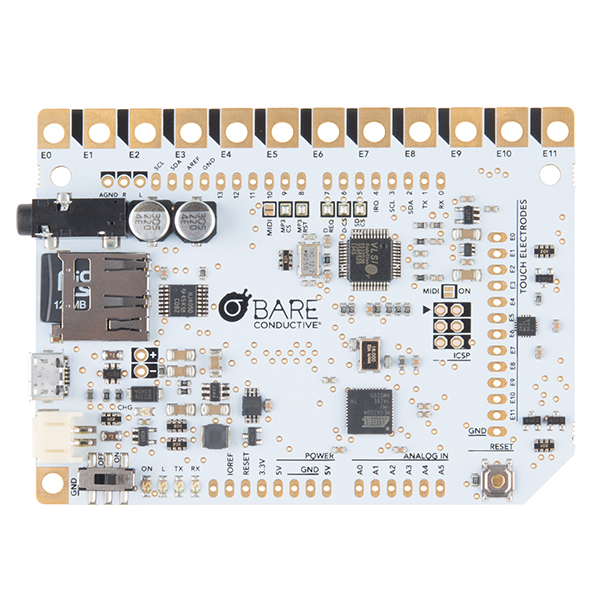 The Bare Conductive Touch Board is even equipped with an onboard MP3 player making each board capable of turning your favorite song into a MIDI tune. 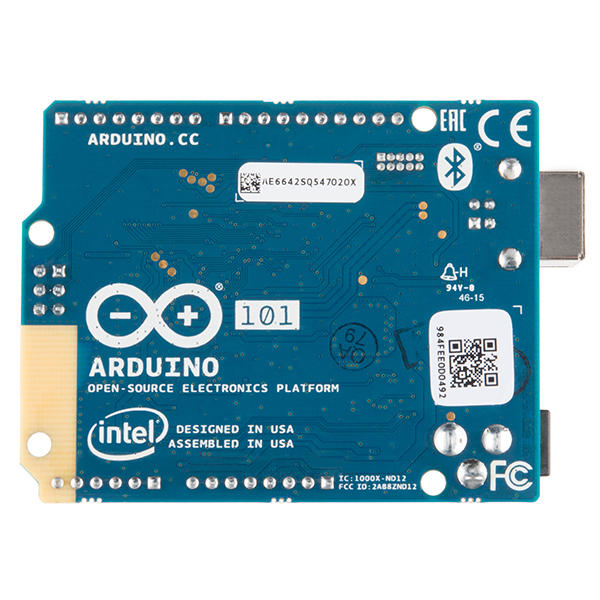 Simply put: if you can do something with an Arduino or Arduino-compatible device, you can do it (and more) with the Touch Board and some conductive ink as well! 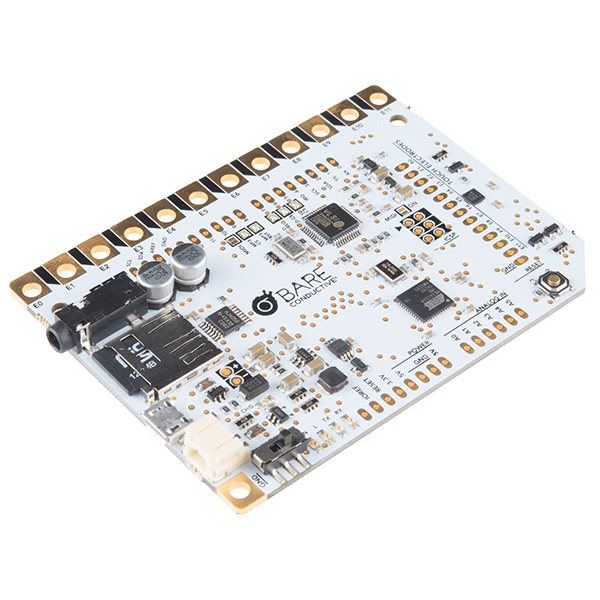 The Touch Board has been specifically designed to be a microcontroller board with dedicated capacitive touch and MP3 decoder ICs. 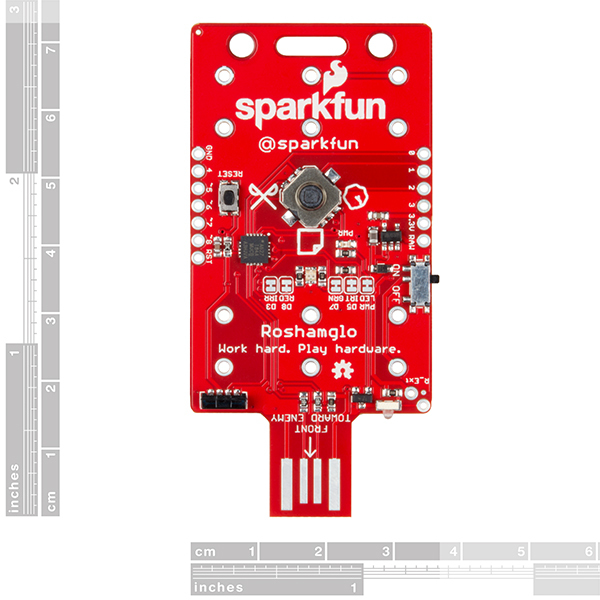 Each board has a 3.5mm audio jack and micro SD card holder (for file storage), as well as its own 128MB micro SD card. 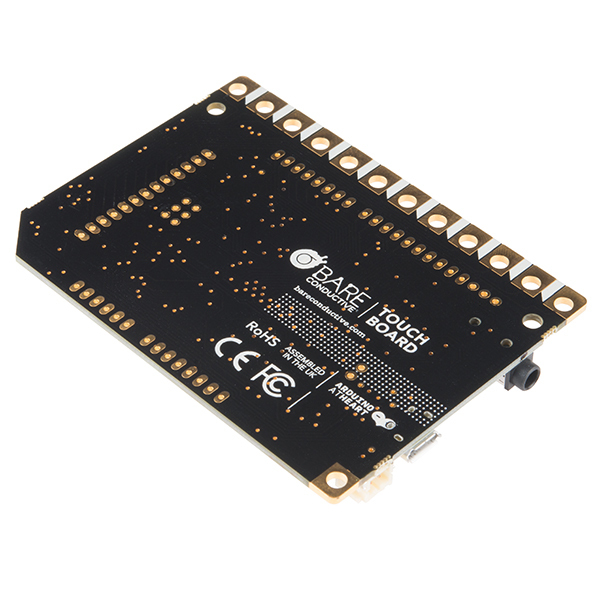 The Touch Board has been based around the ATmega32U4 and runs at 16MHz from 3-5.5VDC. 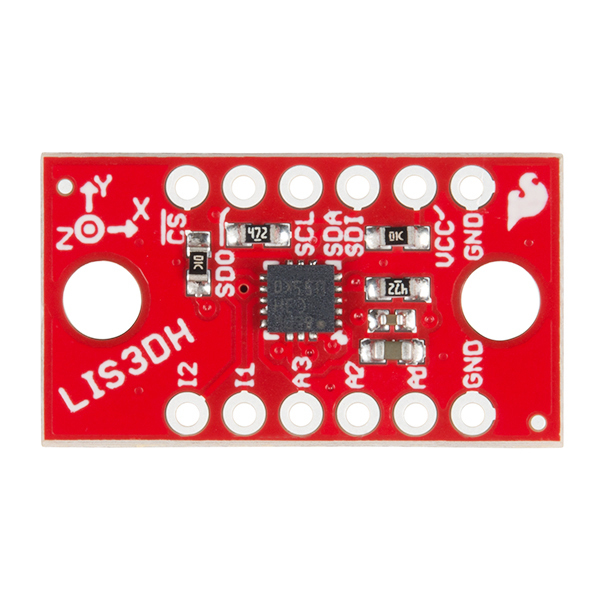 It has everything you would expect to be on an Arduino-type device including, a micro USB connector, a JST connector for an external lithium polymer (LiPo) cell, a power switch and a reset button. It should be known that there is limit of 32GB to the microSD card sized used with this board. 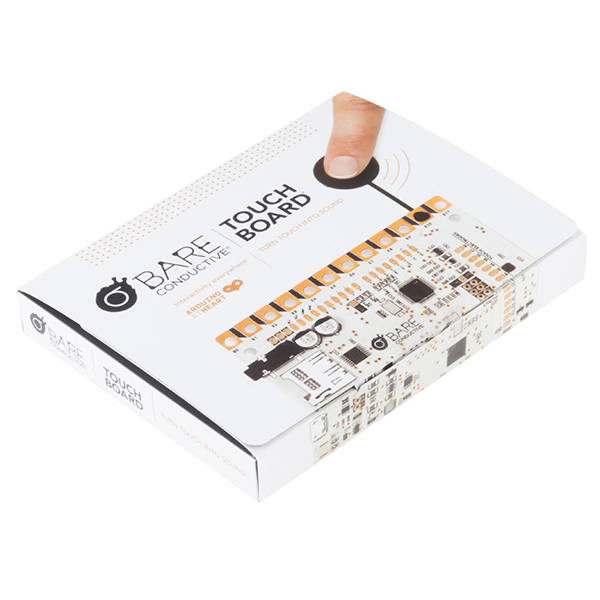 The Bare Conductive Touch Board is similar to the Arduino Leonardo and can be programmed using the Arduino IDE (1.5.6 or later). 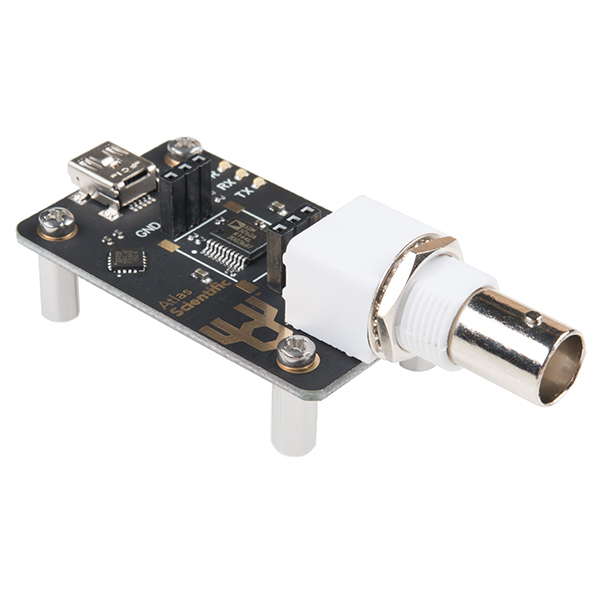 To power the Touch board simply attach it to a micro USB connection or from a 3.7V lithium polymer (LiPo) cell connected to the 2-way JST PH series connector. 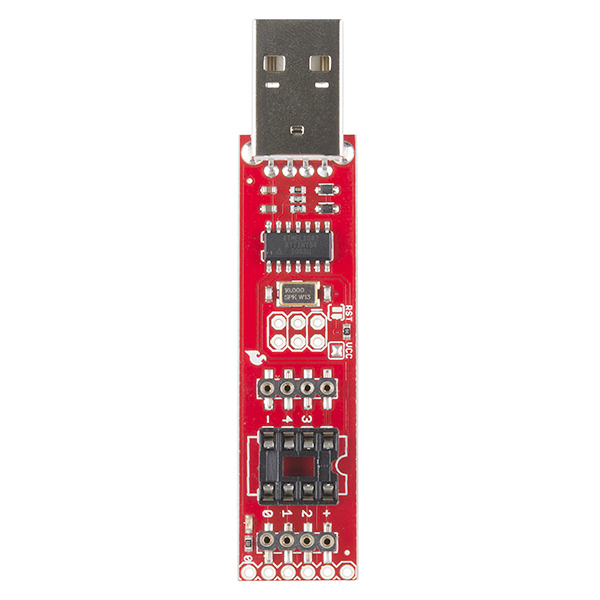 The onboard ATmega32U4 can appear to a connected computer as a mouse or a keyboard, serial port, or USB MIDI device. 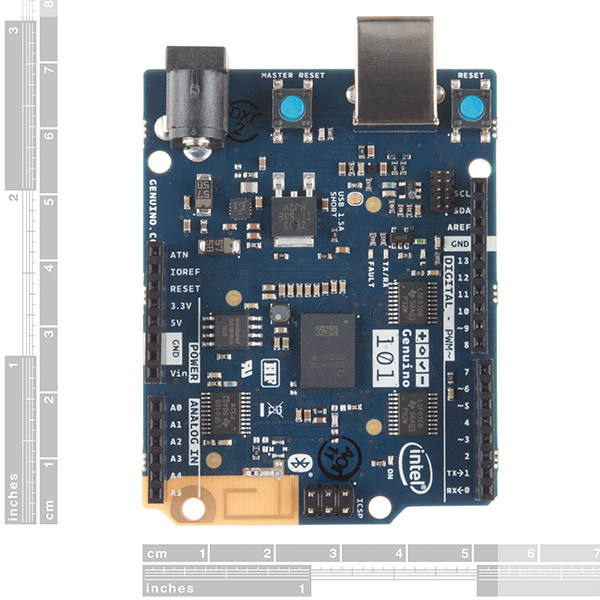 Note: The Touch Board does NOT include a micro USB cable or LiPo battery. 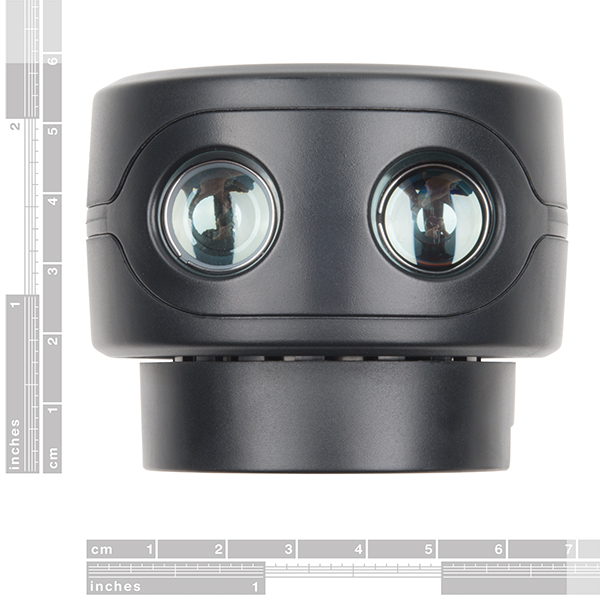 These items will need to be purchased separately and can be found in the Recommended Products section below.